This is a tournament that gets sailors coming in from different parts of New Zealand. The championship, like before, is being held at Tauranga. The last championship that was held in 2015 surpassed about 46 entries. This year there are about 60 entries expected. Venue of the tournament would be at Tauranga Yacht and Power Boat Club where the event would be held from 24th February to February 27th. President of the owners association Zephyr stated that about 20 would be local sailors who are hoping that their local know-how would give them an edge. About five national champions of the past would be competing in this event that includes coaches and sailors of Emirates and Olympian teams. It would also include local players like Mark Thomas who is the current champion of North Island Zephyr; he would be looking to retain his position but would also have close contender Greg Wright to fend off first. Andy Knowles, an Olympic selector, and commodore of Tauranga Yacht and Power Boat club would be welcoming the competitors who would be coming in from out of town as well as contend with the contestants on the water himself. It is suspected that the Silver Girl yacht skipper fell overboard. It happened when the yacht was stroked by a wave off-shore of Quoin Point, and it was between the Gansbaai and Agulhas. 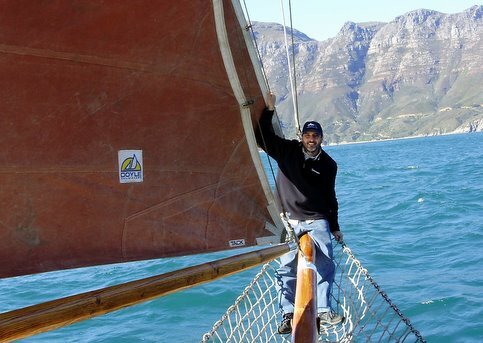 Melvin Rautenbach, the skipper fell overboard in Mossel Bay and from that time she is missing. The incident has been reported by the National Sea Rescue Institute (NSRI). On Thursday, during a race, the skipper fell overboard and after that, she was not seen anywhere. The NSRI Hermanus station commander, Deon Langenhoven, said at the search operation to find the skippers has begun at 19h30 NSRI Hermanus. The duty crew of NSRI Agulhas has been activated by the Transnet National Ports Authority (TNPA) after Telkom Maritime Radio Services intercepted the Mayday distress VHF radio call made from the Silver Girl yacht. Sharing the detail of the race and the incident, he said the Silver Girl yacht took part in the Mossel Bay yacht race and it was sailing wonderfully from Simonstown to Mossel Bay. Them a distress call was made in which crew said the skipper had fallen overboard. It happened when the yacht was struck by a wave off-shore of Quoin Point. It was the 10 nautical miles off-shore.